In a creative digital shift, the City of New York has residents of one Brooklyn neighborhood tagging up a storm on a new urban planning platform designed to affect neighborhood change IRL. 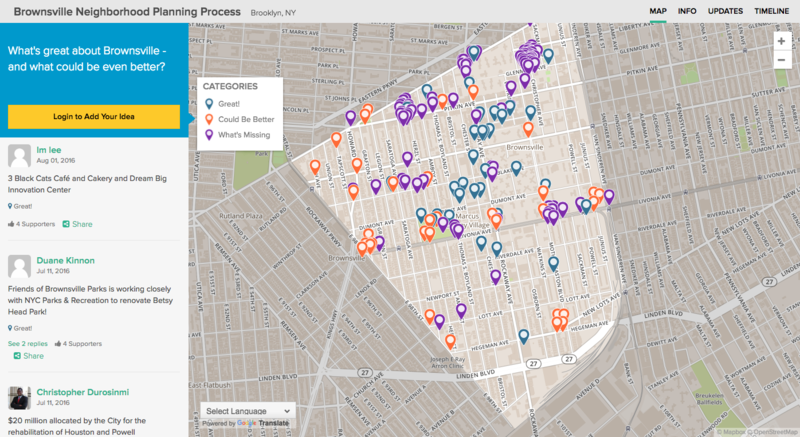 With the help of coUrbanize, a Boston-based city planning and community engagement startup, the New York City Department of Housing Preservation and Development (HPD) is testing its new toolkit of neighborhood planning ideas in Brownsville, Brooklyn. Building on community input gathered in The Brownsville Hundred Days to Progress Initiative and the department’s guidelines for neighborhood planning, HPD is using coUrbanize’s platform to aid the Brownsville Neighborhood Planning Process, a community planning initiative that seeks to increase the neighborhood’s supply of affordable housing; add retail along Livonia Avenue, a main commercial artery; and enhance public safety with vacant lot revitalization, among other measures. Instead of convening residents in a church or a rec center basement, coUrbanize brings neighborhood planning meetings online, distilling the often-complex studies and terms that planners throw around with impunity (ULURP? CEQR?) into an easy-to-understand format and tag-able map that solicits residents’ ideas. Founded in 2013 by graduates of MIT’s School of Architecture and Planning, the site is geared towards people who want to participate in their community’s planning but may not have time or schedule flexibility to attend a meeting. In Brownsville, a neighborhood where many have limited access to the internet and 37 percent of households live below the poverty line, HPD uses coUrbanize’s platform to encourage residents text in feedback on areas the city has identified as sites for improvement. “We’re committed to reaching voices not often heard, traditionally,” said Karin Brandt, coUrbanize founder and CEO. The text messaging service also has a general line where people can voice ideas that aren’t on the city’s radar. In a welcome display of constructive feedback and civility—two attributes generally not reserved for online comments sections—Brownsville residents are using coUrbanize’s platform to map places of interest in their neighborhood that they love, those that are just okay, and ideas for what could be better or built anew. 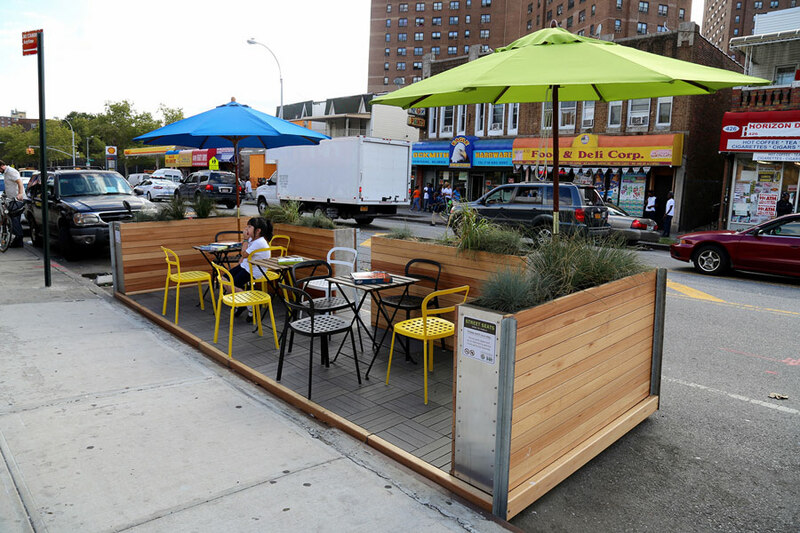 Amid endorsements of spaces like the Osborn Street park and mural and the (Rockwell Group–designed) Imagination Playground at Betsy Head Park, many commenters called for more extracurricular activities for neighborhood youth, sit-down restaurants, and better amenities in parks. The Brownsville planning project is in the second stage of its four-stage timeline right now, with a final plan expected by February 2017. Right now, the coUrbanize toolkit is used mainly by municipalities in Massachusetts, but cities farther afield (Atlanta, San Antonio) are signing up. The City of Boston is using the platform to widen its community engagement for Imagine Boston 2030, the city’s multi-pronged planning effort that comes with a stellar city nerd reading list. Check out the platform here.